Preheat oven to 150°C (300°F). 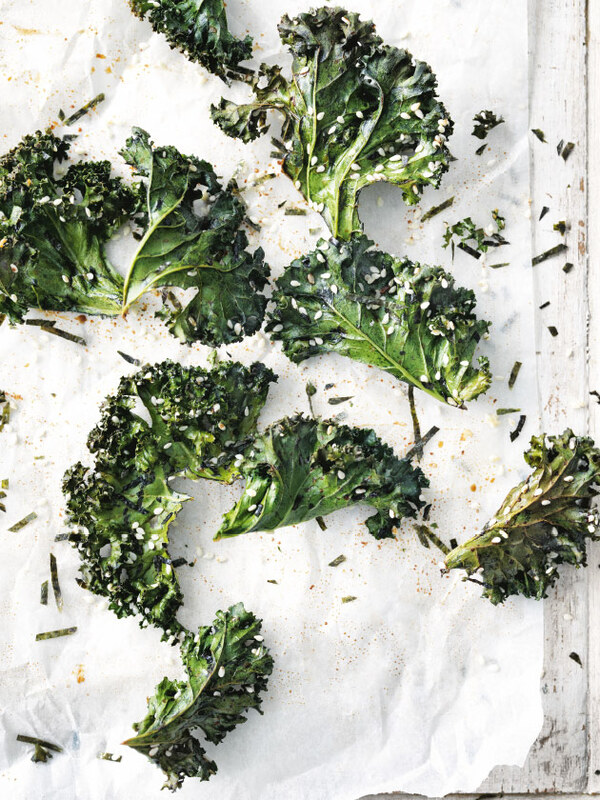 Place the kale, tamari, sesame, nori and oil in a medium bowl and toss until well coated. Place in a single layer on 2 baking trays lined with non-stick baking paper. Bake for 15–20 minutes or until crisp. Serves 4 as a snack.